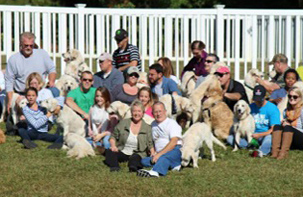 At Golden Creek Kennels, located in Durham, North Carolina, our goldens have been the passion of our lives for over 20 years. With so many families, so many memories and so many beautiful golden puppies. Golden Creek Kennels began soon after we built our first home. I had asked my husband, Crawford for a golden puppy for Christmas, that was our girl Kelsey back in 1992. Today we have moved onto another golden setting, which includes a beautiful home, five acres of land, a pond for our furry kids to play in, and a kennel with indoor /outdoor runs. Twenty years later we are as happy as our goldens are. 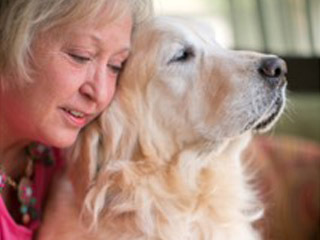 Our beautiful goldens will always greet your as a true golden should, with a wagging tail, and that marvelous golden smile that they are so well known for. All of our puppy owners are families that come back time and time again, showing up for Open Houses to let their golden run with the others, and of course to show off their golden. We also do boarding for our customers who would not leave them with just anyone. 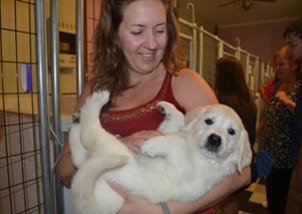 Many of our families near and far are repeat customers seeking their 2nd and 3rd golden pup. We pride ourselves as breeders, that provide families with goldens that are top quality, healthy, intelligent, and temperament tested. Family members for years to come. All our goldens come from top ranking championship lines, and every puppy goes home with a 26 mo guarantee against such genetic disorders as hip dysplasia, heart murmurs or cataracts. 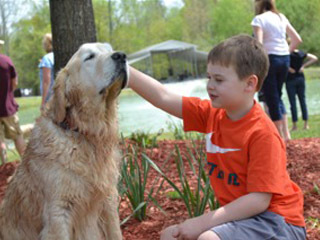 Golden Creek Kennels is here for our families before and after the pup goes home. 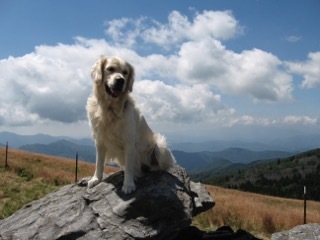 The golden lovers of the United States are more familiar with the “American Golden Retriever“, with their honey colored coat in many shades of gold. 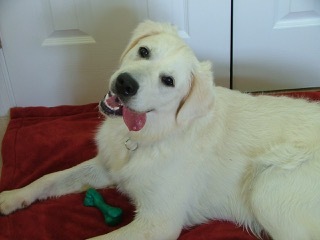 But in Europe the “English Golden Retrievers” are the norm, with their cream colored, thick feathered coats. The AKC and the BKC standards differ somewhat in heigth, weight, and color. But only by a inch of so, pound or so, and shade of “lightness” in color. But the wonderful character is the same for both the American and English goldens. Friendly, reliable, and trustworthy. At Golden Creek Kennels, we offer the best of both worlds. The American and the English Golden Retriever. It’s your Choice! After your puppy has been finished its full series of immunizations against infectious diseases, take your new family member to a public park, flea market, or shopping center. 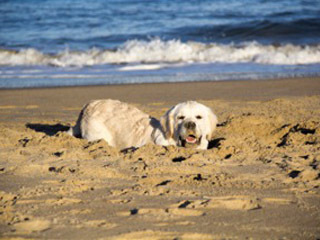 Your new golden will attract attention from friendly passers-by, thus focusing on and enlarging their social skills. Don’t forget to socialize your new puppy with the other dogs as well, but only on a leash. This allows your puppy the freedom to smell and get acquainted, until you get to know his new friends temperaments. 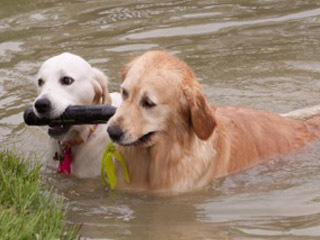 Obedience training classes are a great way to train your eager to learn golden, as well as offering time to frolic & socialize with others of their own kind. Copyright © 2019 Golden Creek Kennels. All Rights Reserved.